London Accommodation Centre (LAC) was established in 1983 and operate a property portfolio in Islington, North London, across N7 and N19. The area spans from Liverpool Road (leading to Upper Street / Angel), all of Holloway Road, Tufnell Park and the Archway areas of Islington. A spacious two double bedroom flat on the ground floor of this newly built private development with a lift. The building is located close to Highbury and Holloway Road tubes, and Angel is a straight walk down Liverpool Road. Internally, the flat has wooden floors, fully fitted kitchen with granite worktops and all integrated appliances (washing machine, dishwasher, fridge freezer, oven and hobs). Both bedrooms are generously proportioned double bedrooms and one has a large walk in closet. There is also a small private patio garden off one of the bedrooms. This is a spacious 5 double bed fully licensed HMO house set over 4 levels. The house is well located and is in reach of 3 tube stations, Holloway, Highbury and Angel. Internally the house has wood floors throughout, 2 bathrooms, 2 addition w/c's, ground floor storage room, furnished, large open plan kitchen/lounge, large bay windows for light and air. There is a private garden to the rear and also a drive way at the front of the property for parking. A 5 bedroom modern terraced town house on the junction between Liverpool Road and Holloway Road. The house is set in a contemporary private development and is generously proportioned; set over the ground floor and three upper floors, with a rear garden and off-street parking for one vehicle available. Internally the house is made up of a large modern kitchen with fully integrated appliances including fridge, freezer, microwave oven, cooker, hot plate and dishwasher; open plan to the dining area with floor-to-ceiling sliding doors leading to a garden with decked patio and lawn area, as well as a guest toilet and a bright office space all on the ground floor. Most bedrooms feature fitted wardrobes and the house is double glazed throughout. The house is ideally located on an quiet urban street, close to Holloway Road. The fantastic bars, shops, cafes and restaurants of Upper Street Angel and Highbury & Islington are a short walk away, while Holloway Road underground (Piccadilly Line) is a 2 minute walk from the house. A modern house in secure privately gated courtyard development with its own private garden. - 2 bathrooms and additional separate guest cloakroom. This is a superb, newly built 1 bedroom flat in a private development on Holloway Road. Located on the corner of Holloway Road and Mercers Road, the development is particularly bright due to the floor to ceiling glass windows throughout. Holloway Road (7 minutes), Archway (10 minutes) and Upper Holloway (5 minutes) are within easy reach of the development. There is a Sainsbury's Local and Pure Gym just a stone's throw away from the front door. 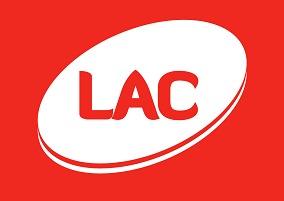 London Accommodation Centre T/A LAC Property Management Ltd.